Perhaps you’ve heard of WireGuard - the new VPN protocol that utilizes state-of-the-art cryptography. It’s super fast, extremely simple and considerably more performant than OpenVPN. A VPN will protect you against Man-in-the-Middle attacks (especially if you’re using public WiFi networks, even if they are password protected), guard your privacy against ISPs that are snooping into your traffic and selling your data, and will help prevent censorship in countries where digital freedom is restricted. Personally, I’ve been blown away by its features! My jaw dropped when I saw that it establishes the connection in less than 100ms. WireGuard works over UDP (by default on port 51820) has a very simple handshake that occurs every few minutes in order to ensure perfect forward secrecy. It has IP roaming support so you can simply disconnect from a WiFi and connect to another and it will simply work. Imagine this: I put my laptop in sleep mode when I leave my office and when I open it at home my ssh sessions are still alive and I can use them right away! The codebase itself is very clean and Linus himself expressed his willingness to see the WireGuard in the Linux kernel soon. The authentication between peers works using Curve25519 key pairs for ECDH. It is worth to mention that in WireGuard’s terms there is no “server” and “client” - each device that is connected is rather a “peer”. In this tutorial though we will use the “server” term to refer to the VPS that will be used to route traffic through and the “client” term for the devices connecting to the server for this purpose. Enough with the theory, let’s go ahead and setup your first WireGuard VPN server! Heads up: This tutorial was tested using a Ubuntu 18.04 server, although it should be very similar for other versions or Linux distributions. First of all, you’ll need a VPS that you will use as a VPN server. WireGuard is very lightweight so the cheapest VPS that has a public IPv4 will be probably more than enough. Tip: If you don’t have a VPS provider you can sign up for an account at Vultr. By using this referral link you get free 50$ which practically gives you a 5$ VPS for 10 months for free at the time of writing this article. After signing up create an Ubuntu 18.04 VPS in a region of your preference. If you don’t know which to choose - pick one that’s geographically closer to you. You can tick the IPv6 checkbox if you want to be able to access IPv6 through the VPN as well. Once your VPS is ready you need to ssh into it. On Linux and macOS you can use the type ssh [email protected] to connect to your server. On Windows, you will need an SSH client such as Putty. All the commands in this tutorial should be executed as root so you have to execute sudo su to become root beforehand if you’re using a different user. WireGuard has its own PPA repository which we’ll have to add in order to install the latest version and keep it up to date. Now you’re ready to get to the next step. WireGuard comes with two useful command-line utilities: wg and wg-quick. wg is the configuration utility for getting and setting the configuration of WireGuard tunnel interfaces. wg-quick on the other hand is a simple script for easily bringing up a WireGuard interface. This will create two files: publickey and privatekey that will contain the public and private key respectively. Pro tip: You can use wireguard-vanity-address to generate a pretty public key, for example, that starts with certain characters. It’s easier to identify your mobile phone’s connection in the peer list if its public key starts with “pho” :). Keep in mind that you will need a safe transport in order to move the private key to the device. Generally, it is not recommended to have the private key on a different device than the one that will use it. You will need to generate a key-pair for every peer (device) that is connected. So for example, if you have a laptop and a mobile phone - you’ll need 3 key-pairs. One pair on the server, one on the laptop, and one on the mobile phone. Depending on the WireGuard client that you are using you will probably be able to generate the keys on the device itself. Next, we’ll need to create the configuration for the wg0 device that will route our VPN traffic. It doesn’t have to be named wg0 - you can name the device however you like, wg0 is just merely a convention. You will have to choose an IP subnet to be used for your VPN network. In this example, I’m using 10.10.0.1/24. Make sure you choose a subnet that is not used by your home and/or work networks, otherwise you either won’t be able to access devices on the local network or the setup will not work at all. Heads up: Make sure you replace <your server private key here> with your actual private key that you generated in the previous step, 10.10.0.1/24, fd172.21:12::1/64 with the actual IPs that you intend to use (if different), and ens3 with the name of your server’s main network interface (that you connect to the internet with, for example, eth0) if it is different from ens3. You can list your network interfaces with the ifconfig or ip a commands. The configuration is perhaps self-explanatory except for the SaveConfig option. 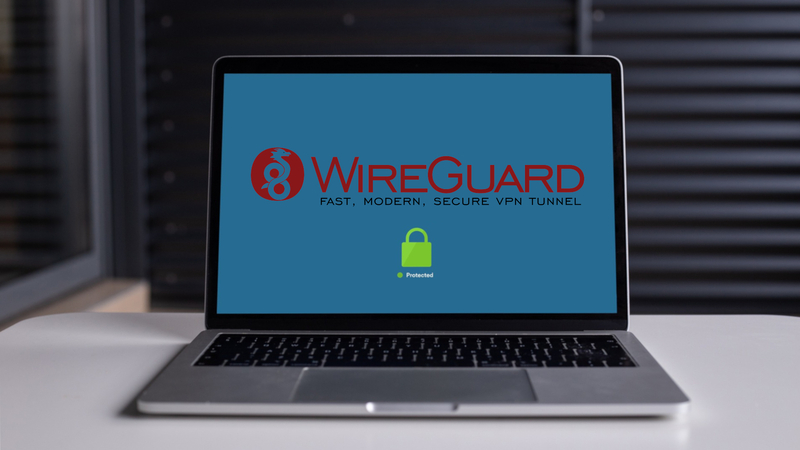 Unlike OpenVPN or other VPN servers, WireGuard does not need a “restart” or “reload” in order for the client to be able to connect - all you need to do is to use the wg command-line utility to add your peer and you are able to connect right away. This is an in-memory operation though and if you restart the server - your added peers will be gone. Here’s when SaveConfig option comes in! This option is used to tell wg-quick to automatically save the newly added peers to your configuration file. This might also bite you - if you edit the file while the interface is up - you will lose your modifications upon restart. Keep in mind that the wg-quick configuration file that we are using is a superset (of sorts) of the configuration file accepted by wg. For this reason, you cannot use this config file with wg directly but only with wg-quick. Now that our VPN server is up we can connect our clients to it. In this example, I will be using an Ubuntu 18.04 for the client as well, but the steps are similar for other operating systems. Some GUI clients offer to generate or import the configuration from a file as well. There is no official Windows client yet but there are other proprietary options like Tunsafe. Heads up: The WireGuard developers are strongly advising to stay away from Windows clients that are not released from the official site, as they may be dangerous to use, despite marketing efforts. The client configuration is similar to the server one with just a few differences. First of all, you must generate the key-pair just like we did for the server. Afterward, you need to setup the network interface, we which we’ll call wg0 as well. Make sure to replace the client private key, server public key and server IP address respectively. The AllowedIPs will be used to determine which traffic to forward through the VPN. You can think of it as a “pull route” in OpenVPN’s terms. By setting it to 0.0.0.0/0, ::/0 you are instructing your VPN client to route all traffic through your VPN server. You can also run the wg utility and check the output of your active interfaces and connected peers. If everything went well, you now should be connected to the VPN server and all your traffic should be routed through it. You can check your IP address using ipx.ac. You can also run all the tests in order to make sure that your location is not leaked. You should run this command on both the server and client. If you’re using a GUI client you probably don’t need to run this command on the client though. In case you are using a firewall to whitelist the IPs and/or ports that can communicate with your server, you will need to add an exception for the port used by your WireGuard server. First of all, you’ll need to determine if you’re using a firewall. On Ubuntu, the two most common options are iptables and ufw (which uses iptables behind the scenes anyway). I hope this tutorial is a good start towards better security for yourself. In case you’re having any troubles setting it up you can write us on Twitter @secespresso or join our Telegram group secespresso so our community can give you some tips. Don’t expect anyone to set it up for you - it is not a support forum but rather a community effort to help each other. If you spotted any typos, errors, problems with this article or you just want to add some more information to it - you are welcome to check our GitHub and make a pull request with the required change. WireGuard is a great VPN protocol that is believed to be the VPN protocol of the future. Obviously, there are commercial alternatives available (for ex. : vpn.ac, mullvad.net, azirevpn.com) in case you are struggling setting it up yourself, but using a VPN is always a good idea.